This is a 1/2 fl. 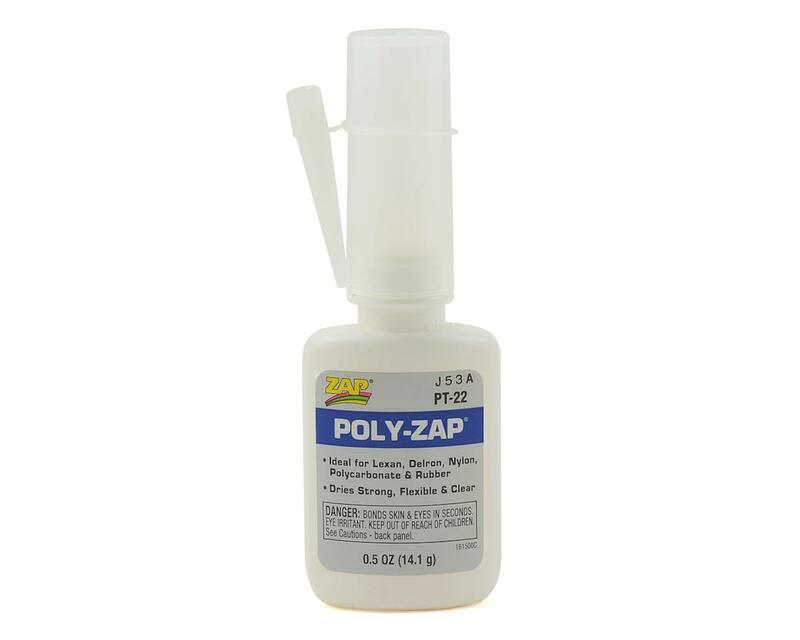 oz bottle of Poly Zap adhesive from Pacer Technologies. Used for lexan, ABS, and fiberglass repair.